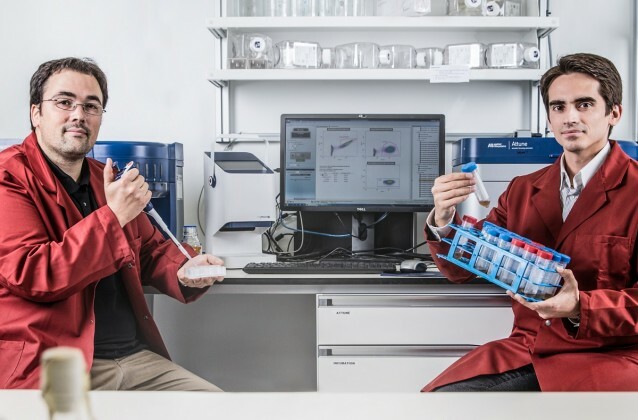 The ETH spin-off rqmicro, which stands for “rapid quantitive microbiology”, develops solutions for rapid detection of pathogenic microorganism in water and food. The startup developed a test for Legionella, a water pathogen that people might inhale when they are exposed to aerosols from air conditioning and that can cause pneumonia. The standard legal test takes ten to fourteen days. rqmicro’s test takes one hour and includes the analysis of viability. The spin-off recently traveled with the #GoGermany2016 program to Munich and met a lot of investors in the US and China with the venture leaders program last year. But how does the test work? Keserue explains: “Basically, we purify the target organisms out of the competing flora in a water sample, by tagging the target organisms with magnetic nanoparticles”. By using a magnet rqmicro can pull these target organisms out of the rest, i.e. the dirt and whatever else is in the sample. “Then we count the target organisms optically, which is interesting because we do this on a single cell level. So we do not count the total fluorescence or the DNA content but rather every single cell. In this way, you get totally different high resolution data”, he says. 2015 was an eventful year for the startup and 2016 is getting even bigger. rqmicro moves on from prototypes to industrial laboratory instruments and test kits. Keserue says: “The first 20 instruments will be shipped to clients who preordered. At the moment we are a team of 10 and more will join the company in the coming months – especially on the marketing & sales side but also in the engineering and life science disciplines. 2016 might turn out to be a great year.” Therefore the lab at ETH Hönggerberg is not big enough anymore. “We still have time left in the contract with ETH but it is time to move on and scale up. Hence we are currently looking at several lab and office spaces”, he says. 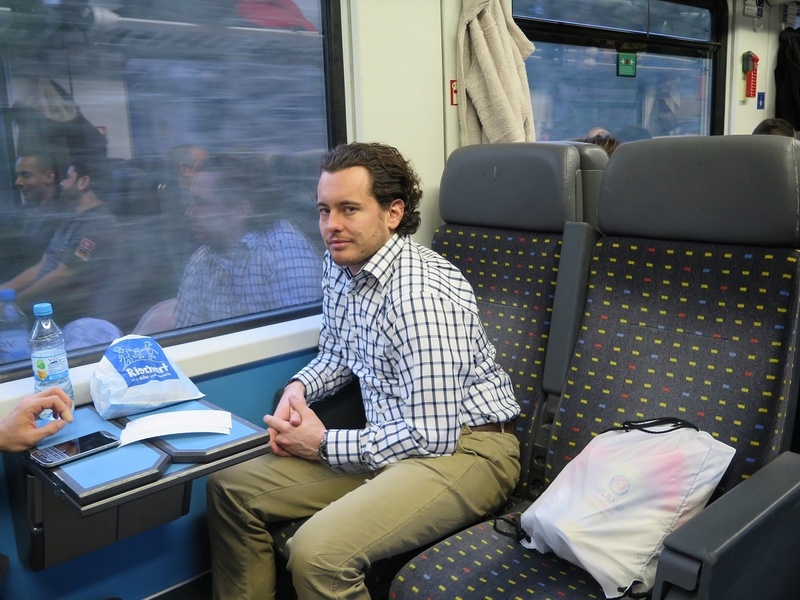 Keserue and his colleagues have been part of a few IFJ (Institut für Jungunternehmen) and venturelab programs. “My experiences with the IFJ and venturelab were always very good”, he says. “Last year I was part of the venture leaders program in USA and China. Both trips were amazing. I’ve met a lot of new investors and big industry names of these countries.” He was reaffirmed that entering such markets takes time and many more meetings to build relationships with key partners. “The market potential in these geographies is enormous, but it takes time to develop it. The trips were totally worth it.” The application deadline for the next edition this summer is near. If you want to be part of this business development trip, apply now. 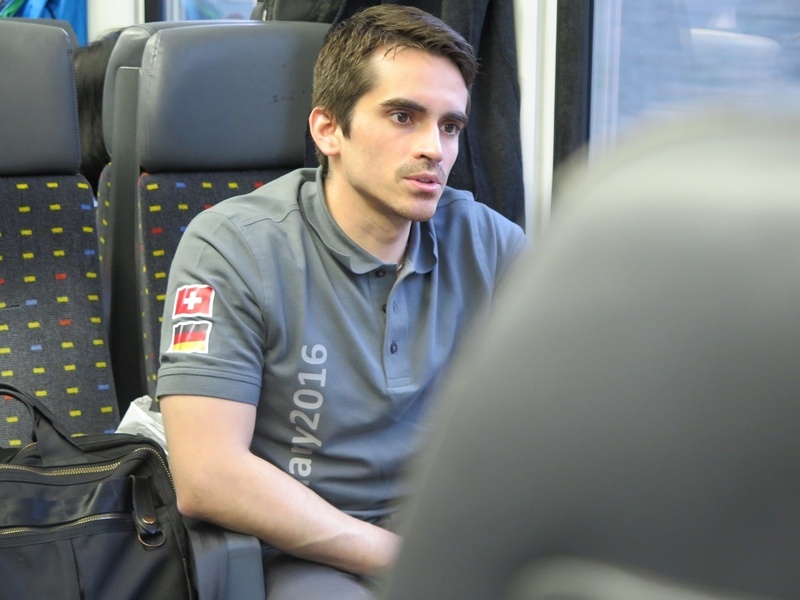 Tobias Schaad, director of operations, was part of the roadshow #GoGermany2016. A few weeks ago CTO Daniel Schaffhauser and Director of Operations Tobias Schaad have been part of the roadshow #GoGermany2016. We accompanied the group of 20 startups to Munich. “Daniel and Tobias had a great time in Munich. Germany is a large market for us, so it made sense to apply for this program.” Both learned a lot during trainings and workshops about German entrepreneurship and jurisdiction. The venture leaders – the members of the Swiss national startup teams – have a clear-cut goal. They envision themselves as global players and want to take the first step to their global expansion. These business development programs are specifically structured to help them achieve this goal. Be part of it! If you belong to the top Life Science, health tech, clean tech or enabling tech startups in Switzerland and want to boost your future, then you have to apply to be a member of the Swiss national startup team in Life Sciences for a rocking week in the Boston area, one of the major worldwide life science hubs. If you belong to the top Technology startups in Switzerland and want to boost your future, then you need to apply to be a member of the Swiss national startup team in Technology for a rocking week in the Big Apple, the fastest-growing startup technology ecosystem in the US.